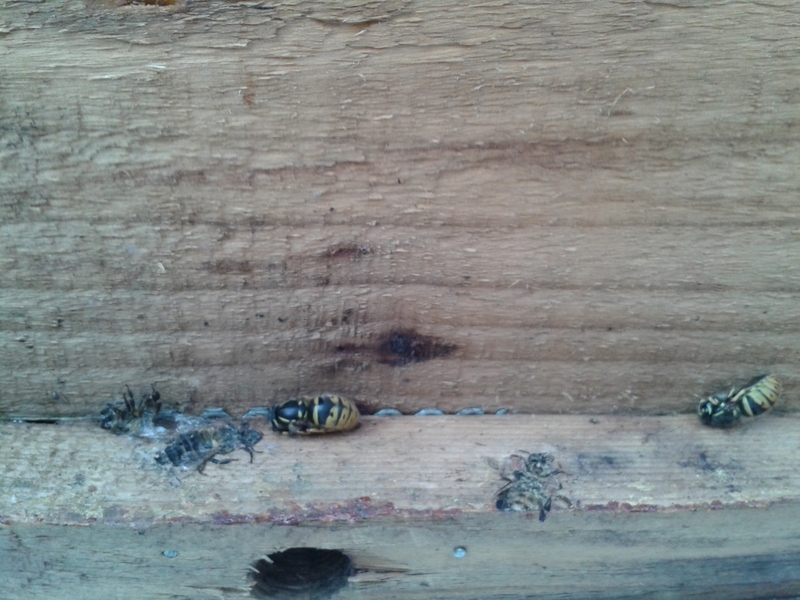 Keep an eye out for hibernation queen wasps like these two in your hive roofs during your winter checks. Note the poor squashed bees – sometimes this is unavoidable. What you do with them is up to you – it’s always a dilemma for me. Remember that each one has the potential to create a huge wasp colony of perhaps 15,000 individuals and if you’ve had real wasp problems in the past you know what this can mean for the bees. However they are great in the garden in the early part of the year and only come into conflict with the bees in the late summer. If the bees are strong and you get your entrances narrowed down in time they will be able to defend themselves. If there seem to be a lot of them you could prune them.